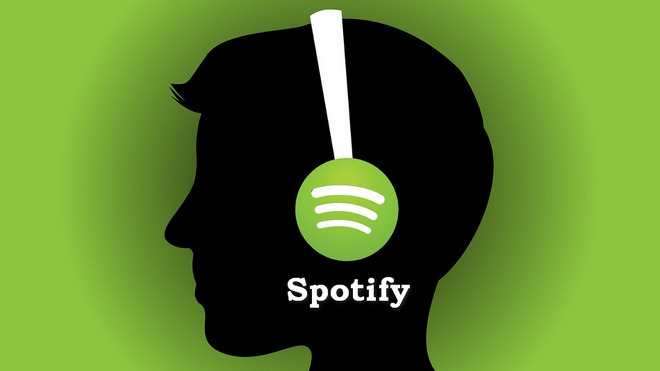 Spotify is the king of streaming music service, with a catalog of 30 million tracks, several social features and clever new tools that cater to the many different ways you listen to music. And unlike other streaming services, Spotify offers user three plan to enjoy music, Free, Premium, and Family. The most attractive and restrictive one among them is of course the Free plan. 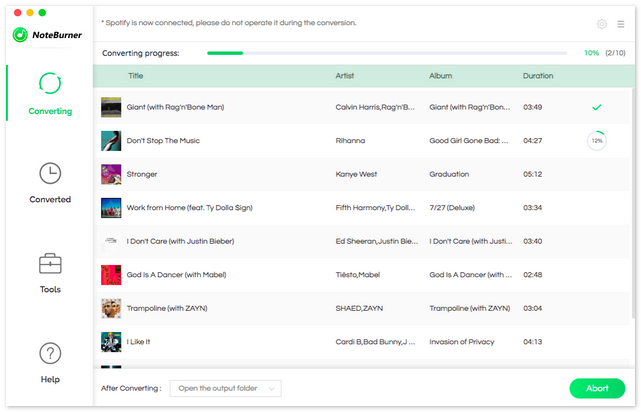 In Free model, users don’t need to spend money to stream Spotify music, but must tolerate the disturbance of advertisements while streaming, which is a terrible experience. Upgrade to Spotify Premium or Family plan is a great choice to remove the limits of Free plan. But it can’t crack all of limit from Spotify songs which is encrypted with DRM protection. Even the paid users can’t stream Spotify music on all of their devices as they want. 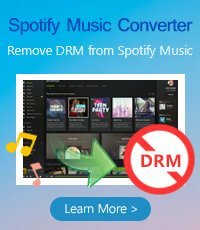 So in order to completely remove DRM restriction from Spotify and get DRM-free Spotify music, you are supposed to get a professional Spotify Music removal. 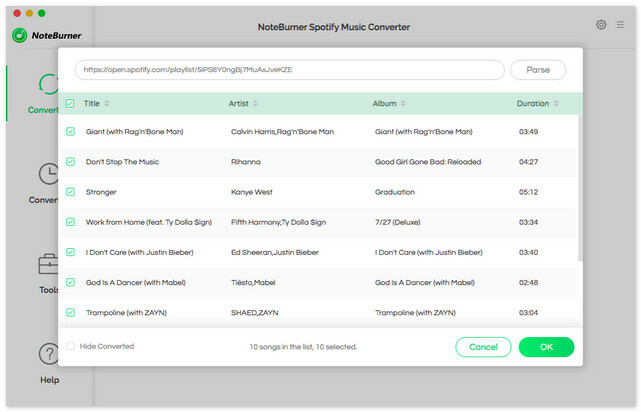 NoteBurner Spotify Music Converter is an excellent Spotify Music Removal tool, which can directly remove DRM from Spotify music and convert them to DRM-free format like MP3, AAC, FLAC or WAV. The following is a detailed tutorial about how to remove limits from Spotify music. Please download this useful tool on your computer first before getting started. Launch the program and Spotify will be opened automatically. 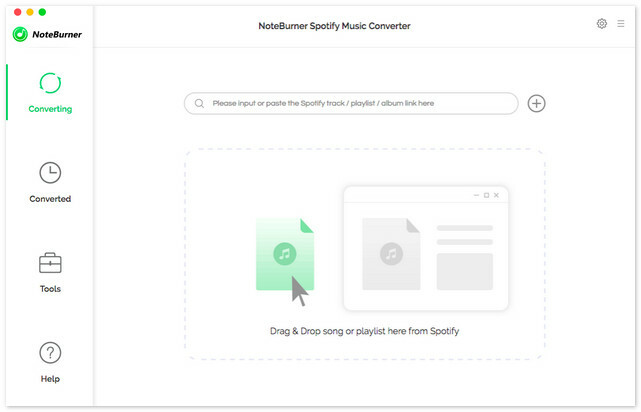 Just click "+" button on the top-left interface, and then drag or drop the audios from Spotify to NoteBurner Spotify Music Converter, check the music that you need to convert and then press "OK". Once added the music successfully, please click the setting button to change the basic parameters, such as output format, output quality, conversion speed and output path. 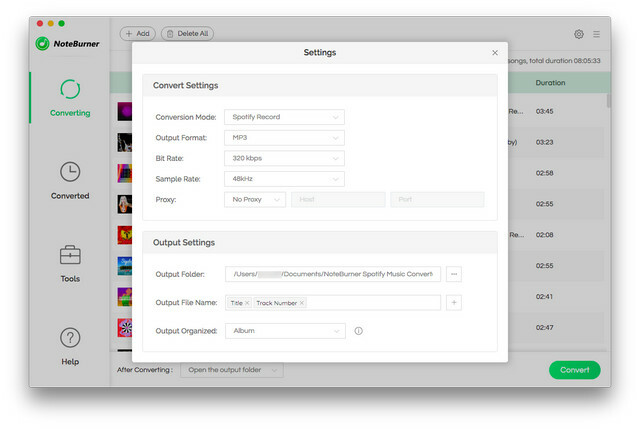 You can convert Spotify music to MP3, AAC, FLAC or WAV with high quality (320 kbps is available to choose). After the above setting, click "CONVERT" button to remove DRM and convert those audio files to DRM-free format without loss of any quality.